Bedrock Earthscapes, LLC provides premier native area maintenance and native planting throughout Wheaton, Carol Stream, West Chicago, Hoffman Estates, Naperville, Downers Grove, Schaumburg, St. Charles and surrounding areas. The following Purpose and Objectives were created to guide Bedrock Earthscapes, LLC’s business. These are our reminders about why we are in business, and about how we will conduct our business to serve our customers in an excellent manner. Please feel free to contact us today by filling out our short form. Our Purpose: Enriching life through improving our environment. As stewards of that with which we are entrusted, we will seek to understand and communicate God’s creative intent in all we do. Our people will use their individual strengths to create Team Excellence and to fulfill their calling in life. We will continually explore better ways to manage Earthscapes and natural resources in order to help sustain a better world. Good stewardship must also be good business. Bedrock was first established in Havertown, Pennsylvania, in 1976 as a partnership called “Bedrock Tree and Landscaping”. Bill Bedrossian had worked through college doing landscaping, and established his own landscape business in 1974. Tom “Rock” Phillips joined Bill in 1976 to help develop the arboriculture business. The “Bed” from Bedrossian and the “rock” from Tom’s middle name were combined to create the name “Bedrock”. While the original Bedrock ended in 1980 when Bill went to work for ServiceMaster, the Bedrock name continued to be used in various ways by Bill’s family. Bill Bedrossian, owner of Bedrock Earthscapes, LLC, graduated from Haverford College with a degree in Biology and a major in Plant Sciences from Swarthmore College. He earned an MS degree in Management, and is a Registered Landscape Architect in the State of Illinois. Bill has continued his involvement in the green industry for over 40 years. After owning Bedrock Tree and Landscaping, Bill managed school grounds as a Buildings and Grounds Director for two public school districts. He then led the development of ServiceMaster’s Grounds Management program which was used to manage over 50,000 acres of grounds for 600 school, college, health care and commercial customers throughout the United States and Canada. In 1990, Bill began establishing commercial landscape businesses for ServiceMaster, and by 1998 his team had started up 16 landscape businesses, including several work-training landscape businesses for not-for-profit organizations. Through management of a landscape business for the Chicago Christian Industrial League, relationships were built that led to a contract with the Chicago Park District to maintain and help improve all Chicago Park District Natural Areas, as well as to support landscape maintenance operations for all 550 parks with a new operating model. Managing natural areas in an urban setting is a challenging endeavor and one that requires creative customization of restorative, establishment and maintenance practices for natural areas. Combining executive and professional training, years of grounds management expertise, unique experiences in natural areas management and experience in environments of demanding esthetic appeal, Bill created Bedrock Earthscapes, LLC in 2008. 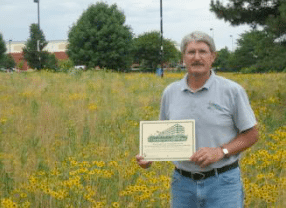 With a passion for environmental stewardship and broad experience in the commercial facility maintenance sector, Bill has focused Bedrock Earthscapes, LLC on enriching life through improving our environment. 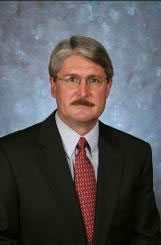 In 2010, he served as a member of the DuPage County Board, serving on the Strategic Planning, Stormwater Management, Finance and Human Services committees. In 2010, Jason Bedrossian joined the Bedrock Earthscapes, LLC team as Assistant Manager. Before joining Bedrock Earthscapes, LLC, Jason studied fire science and completed the certificate coursework in Sustainable Landscape Studies at the College of DuPage. 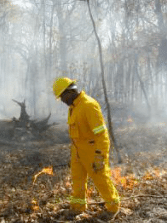 He is a licensed herbicide applicator and is an experienced native burn Manager. Jason has completed both S130 and S190 Firefighter and Wildland Fire Behavior certifications, and is a Certified Prescribed Burn Manager. In 2012, Jason established his own business, “Native Torch, LLC”, which he hopes to one day grow as a MBE serving the native landscape market. Sean Ocasio joined Bedrock Earthscapes as Project Supervisor in 2016 after returning from active duty in the US Army. He is a licensed herbicide applicator and is an experienced native burn technician. 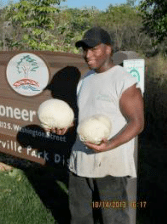 Isaiah Bedrossian joined Bedrock Earthscapes in 2017 as a Field Technician while working on and completing the certificate coursework in Sustainable Landscape Studies at the College of DuPage. He is a licensed herbicide operator and is an experienced native burn technician. Today, Bedrock Earthscapes, LLC provides native landscape services within a 30 mile radius of Wheaton, Illinois. We provide a high level of expertise, and years of experience with a focus on responsive and customized customer service. We value the personal relationships we enjoy with our clients, as well as our common desire to improve life through improving our environment.